Louis Decena Sensei is the chief instructor of West County Aikido. He was first introduced to Aikido in 1963 when he took some classes from Yamada Sensei while stationed in Japan. He was also fortunate enough to be instructed by O Sensei himself at Hombu Dojo. Kobayashi Sensei, Kanai Sensei, and Imaizumi Sensei were also among his teachers. After his military service, he returned to the States and began training with Shiohira Sensei in 1989. It was under Shiohira Sensei's instruction that he began teaching Aikido. 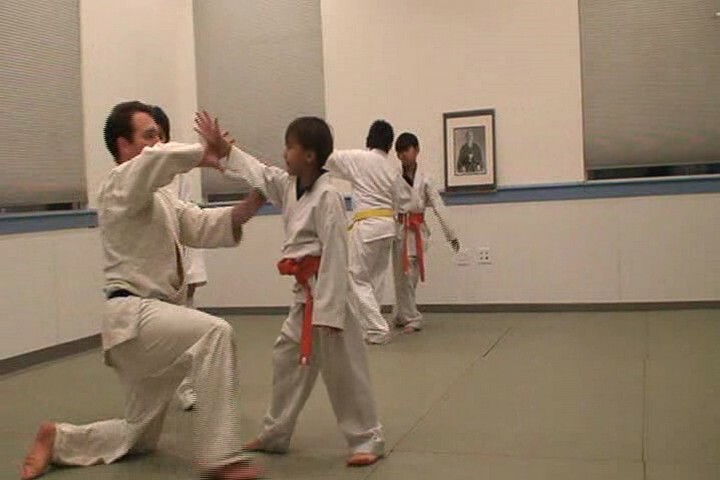 He founded Pinole Aikido in 1985, which became West County Aikido after moving to El Sobrante in 2000. He has trained many aikidoka; some from age five all the way up to the rank of nidan (second degree black belt). Arthur Bagos is the dojo-cho of West County Aikido, He joined Pinole Aikido in 1992 and was such a dedicated and avid student that he started teaching in 1994 and in a few years became senior instructor. Bagos Sensei also teaches occasionally at Tri-Valley Aikido in Dublin, California, since its beginning in 1997. Starting September 1998, he became acting Dojo-cho of West County Aikido and the official Dojo-cho in February 1999. He is known for his preference for free flowing, dynamic Aikido techniques and practical self-defense applications as well as his powerful finesse techniques and relaxed, energetic, fun-filled classes. He is currently on leave do to work related issues but stops by from time to time to visit. Essex Combong practiced Kenpo Karate as a child. He started Aikido in 1988 at the age of twelve with Pinole Aikido. Overall Essex has over fifteen years of comprehensive training. In 2002 he achieved the rank of Shodan. He has been teaching children and adults since 2002. Essex attended Sacramento Police Academy in 2003, and has training in police martial arts -- groundfighting, boxing, and use of the baton. He is experienced in situations involving the practical application of techniques in his duties as a counselor for incarcerated youth, trainer for private security, and through his career in law enforcement. Gen Bondoc has been with West County Aikido for over 14 years now. He has been teaching children and adults for the last four. If you would like to train with Gen, you can visit him at the San Pablo Moose Lodge on Wednesdays from 5:15 - 7:30p. Luke Stott is one of West County Aikido's "Aikido kids". He started in 1986 at the age of 5 and trained under Decena sensei. He acheived the rank of shodan in 1996 and continued training under Decena sensei until receiving his nidan and going down to San Diego for school in 2002. There, he trained on and off for about three years with Chiba sensei at San Diego Aikikai and returned to the Bay area in 2005. In 2007 he tested for sandan and currently is teaching and helping manange the dojo. You can train with Luke at the Pinole Youth Center on Mondays, 5:30p - 7:30p and on Wednesdays, 6:30p - 8:30p. Luke also teaches the Special Needs class on Fridays from 5:00p - 6:00p. Marc Lorentz is another "aiki kid". He began studying under Decena sensei at the age of seven. After 11 years of practice, he earned the rank of shodan in 2000. He continued with his training and began teaching until obtaining his nidan in 2004. You can practice with Marc Tuesdays at the San Pablo Moose Lodge from 5:15 to 7:00. Thang Tran has been a fulltime West County Aikido student for more than six years now. 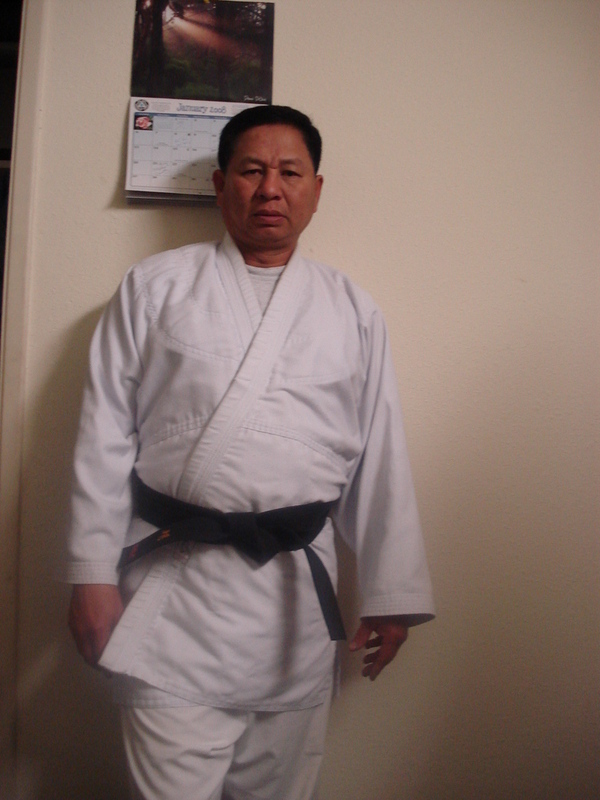 He trained under Louis Decena Sensei and received his shodan in 2005. Thang actively attends various seminars throughout the year taught by other well recognized instructors. If you would like to train with Thang come by the Pinole Youth Center Monday and Wednesday nights from 7:30 - 8:30p.